Located in Perth, Western Australia, Linton & Kay Galleries hosts an impressive collection of quality fine art, which is complemented by a range of exhibitions, events and art services. Directors Linton Partington and Gary Kay have established extensive networks enabling them to produce exhibitions and projects with both established and emerging artists from around Australia and the world. Following the opening of the original Subiaco Gallery in 1998, Linton & Kay Galleries has recently opened a second space in the Old Perth Technical School. 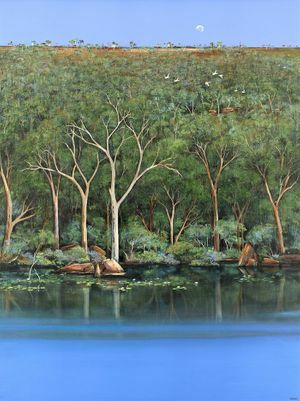 Specialising in contemporary painting, sculpture and Aboriginal Art, Linton & Kay enjoys a dedicated client base and is committed to providing corporate, private and investment collectors access to fine art of the highest quality.